The median home value in Atlantic Highlands, NJ is $410,000. This is higher than the county median home value of $373,000. The national median home value is $185,800. The average price of homes sold in Atlantic Highlands, NJ is $410,000. Approximately 73.89% of Atlantic Highlands homes are owned, compared to 19.22% rented, while 6.89% are vacant. Atlantic Highlands real estate listings include condos, townhomes, and single family homes for sale. 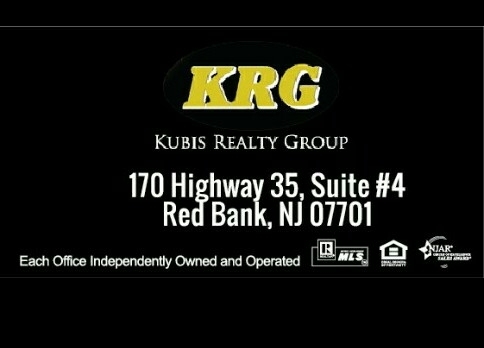 Commercial properties are also available. If you see a property you’re interested in, contact a Atlantic Highlands real estate agent to arrange a tour today! Learn more about Atlantic Highlands Real Estate. CHARMING...AFFORDABLE..CONVENIENT! A short distance between paradise and the place you call home. Move right into this 1 Bdrm/1 Bath LOWER level condo at King James Court in the sought after Atlantic HIghlands. Private backyard patio, in ground pool, new laundry room and more. Near Sandy Hook and Seabright beaches, 1 mile to First Ave shopping, dining and NYC Seastreak ferry.Own the home that's meant for you!!! Just steps to downtown Atlantic Highlands and the ferry service that serves Manhattan, this Victorian era dwelling has been totally renovated and updated over the years and includes a beautifully appointed kitchen with granite counters, Viking range, and Sub-Zero refrigerator, an en-suite master bath boasting a heated floor, double sinks, and a frameless glass enclosed shower, hardwood floors, decorative moldings, living room with fireplace, and more. This dwelling was recently re-sided with James Hardie siding (Hardy Board), Andersen thermal windows, and the roof was replaced in 2016. A total of 3 bedrooms, 2.5 baths, full basement, open front porch with mahogany decking, concrete driveway, fence enclosed rear yard with patio and garden shed. This home has it all and is not to be missed! Nestled in the Navesink section of Middletown you will find your heavily wooded escape. Backing into Hartshorne Woods with hiking and bike trails is a custom home that invites nature into its rooms. Floor to ceiling windows and multiple decks allows you to live the 4 seasons of the year.In this custom home you will find imported Italian tile, a chef's kitchen with a double wide refrigerator and freezer, 2 custom brick fireplaces to keep you warm on cold winters nights, custom amenities that lend to a lifestyle of leisure and pleasure. Located less than 1 mile from the NYC ferry, 1 mile to Sandy Hook and 10 minutes to Red Bank you will have the beauty of the shore and the sophistication of NYC at your fingertips. Your new home is waiting for you! Fall in love with this amazing FULLY updated home in this highly sought after neighborhood in NAVESINK. Enjoy the bright open plan layout w/rustic white oak 6'' plank flooring throughout the upper level. Bright airy living room leads to large dining room - both w/built in blue tooth speakers. The 2017 renovated kitchen is a ''WOW'' ! The custom designed wood cabinetry w/soft close doors and drawers, under counter lighting, granite counter tops and matching stainless steel appliances, which are still under warranty, are ready for family and friends. Great entertaining space w/ custom white oak counter includes 4 bar stool seating and matching built in wine rack. This fairy tale seashore cape could be just what you have been wishing for'. With 4 bedrooms, 2 full baths, fireplace, hardwood floors (under newer carpeting), large eat in kitchen, basement, and tons of storage- all that is needed is your imagination and a little updating to make this your own''Home Sweet Home' . The yard is a nature lover's paradise...mature plantings ,koi pond, flower beds, garden shed and a bonus work shop/screened in oasis. Oozing with curb appeal on one of the most sought after streets in Atlantic Highlands you also get a water view...Run don't walk...deals like this don't come around everyday! Be the first to see this 2 bedroom 2 bath Colonial that with a little imagination can be a real nice home. Restore or build new. Great location thats close to all shopping and major transportation. Hurry will not last. Private and serene equestrian estate for sale, with 10.89 acres of rolling green hills and pastures, complete with expanded ranch style home, barn, stables and paddock area! Bring your builder to renovate this fabulous entertaining home with large rooms filled with natural light and overlooking this gracious farm! Impressive two story foyer, master suite downstairs, large family room and living room with wood burning fireplace, dining room, eat in kitchen and mud room! 3 car garage, tennis courts and outdoor terrace! Farm assessed for low taxes, can also generate income from rental of the stables. This estate is minutes from the Sea Streak ferry for easy commute to city as well as fine restaurants, award winning schools and sandy beaches! Listed both land and residential! THE PERFECT FIND! Adorable Atlantic Highlands cape loaded with character and modern updates walking distance to the ferry, marina and downtown! Large family room with gleaming hardwood floors, bay window and gas burning fireplace. Updated eat in kitchen with granite counters, custom white shaker cabinets and under mount sink. First floor offers two bedrooms and renovated bathroom with soaking tub. Upstairs offers master suite with bathroom and ample closet space. Full finished basement offers entertaining area and bathroom. Spacious fenced yard with manicured lawn and gardens, deck, patio, off street park and shed. Minutes to the beach, mass transit and highways! Pottery Barn perfect 2 bedroom pied a terre! Formerly a 1 BR, owners converted to 2 BR!! Delightful kitchen with granite counters and Stainless Steel appliances, large living room with handsome stone fireplace and raised hearth, & full bath with quality vanity cabinetry. New siding, fence, cultured stone chimney and furnace in 2018. Asphalt driveway 2 years old. All room sizes approximate.Perfect for starter home, downsizers, year round living or summer getaway. For those who want an alternative to condo living, this is IT! !Great backyard with garden shed that has electric and large 32x12 deck!! Gas heat and central air! Beautiful millwork with crown molding. Close to NYC ferry, area beaches, restaurants and nightlife.Call today to call this charming property HOME!! RENOVATED UPPER LEVEL SEASHORE CONDO NEAR NYC FAST FERRY, NYC BUSES, MARINA, ATLANTIC HIGHLAND'S CHARMING VICTORIAN TOWN, JERSEY SHORE BEACHES AND RED HOT RED BANK! THIS JERSEY SHORE COMPLEX IS VERY DESIRABLE AND HAS IT ALL! RENOVATED EAT IN KITCHEN offers stunning new custom cabinetry, stainless steel appliances, Maytag glass top stove, Samsung microwave, high end Blomberg refrigerator, sparkling quartz counter top, ceramic tile back splash, new temperature controlled faucet & under cabinet soap dispenser. Luxury wood like floor tile throughout condo. Private outdoor balcony off of kitchen sliding doors overlooks INGROUND POOL AND COURTYARD. RENOVATED FULL BATHROOM has new custom vanity, tile and fixtures. LED lighting throughout condo. Common laundry on premises. A classic Craftsman home in the Navesink sec.of Middletown that's still adorned with its original arts & crafts architectural features. Built in the 1920s, this home incl. a massive 9' peanut stone fireplace, French doors & windows, skylight atrium window w/craftsman molding, bay window exposed beam ceiling, built-in bookcases, classic board-and-batten wainscot with plate rails, hardwood floors, Dutch door, built-ins, tall windows with wavy glass and large front porch. Property includes circular driveway, gardens, trees and an historic 2-story barn built in the 1800s. easy commute to NY bus & ferry in walking distance. Blocks away from the seaside town of Atlantic Highlands. It is a fix-up and being sold as is. Located in desirable ''Atlantic Highlands'' is where you will find this Ranch styled Home with parking and rear access on Simpson Avenue and is close to Restaurants, Shopping, Oceanfront Beaches, and high speed Ferries to NYC. Although originally purchased as a foreclosure with a newer roof, you now have the opportunity to finished it your way since it's Gutted with additional work started that includes ''Norandex'' thermopane windows, framing for the Kitchen & Dining Area w/9 Recessed lights, Cathedral Living Room w/8 Recessed lights & brick surround wood-burning fireplace, three Bedrooms, Full & Half Baths, Electrical panel box & more. Property being sold in as-is condition with all inspections the responsibility of the Buyer & can only be purchased w/Cash or a Re-Hab Loan. Luxury Living in the Atlantic Highlands does not get better than this! No other home like it in the vicinity. This exquisite home is nestled on a No Outlet street with other beautiful homes. Property offers 5 Bedrooms, 4 Baths. House can serve as a Mother/Daughter or In-law Suite. Modern Kitchens highlighting granite countertops, tiled backsplash & Samsung Brand stainless steel appliances. Home encompasses a super large Master Bedroom Suite with a walk-in closet exhibiting endless space. House is perfect for entertaining whether indoors or out while enjoying the inground free form swimming pool. Upgrades galore...too many to list! Beautiful Seashore Colonial close to the Waterfront and NYC Ferry with open wrap around porch . Nicely kept, two bedroom colonial has a nice size living- room, dining room with laminate floors. Updated eat in kitchen with newer cabinets and a built in breakfast nook. All freshly painted! Upstairs features master bedroom with your own master bath with jacuzzi tub and shower. Sliders off the kitchen to your deck and backyard. Detached two car garage for your storage or cars. Brand new: roof on the house & garage, hot water heater and washer. FYI: Zoned Central Business District, could live in it and run your business. Close to the restaurants and waterfront! Ideal for commuters very close to NYC bus & NYC Ferry! Must see today! Lovely 2 bedroom home in a wonderful location in Atlantic Highlands. Front sitting room is bright and cozy. Spacious dining room leads to family room with lovely stone fireplace. Kitchen and pantry area give access to fenced backyard with deck and shed. BBQ included with gas hookup. Great value for a single family home close to convenient commuting options and shopping/restaurants/beaches.